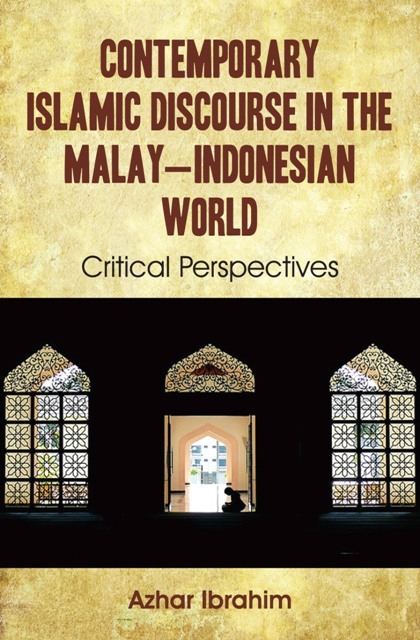 THRU this forum I would like to express the highest gratitude to my colleagues, Dr. Azhar Ibrahim for his book launching “Contemporary Islamic Discourse in the Malay-Indonesian World”. This book is an ocular proof of the intellectual relations than increasingly productive between Malayan people especially between Singapore and Indonesia. 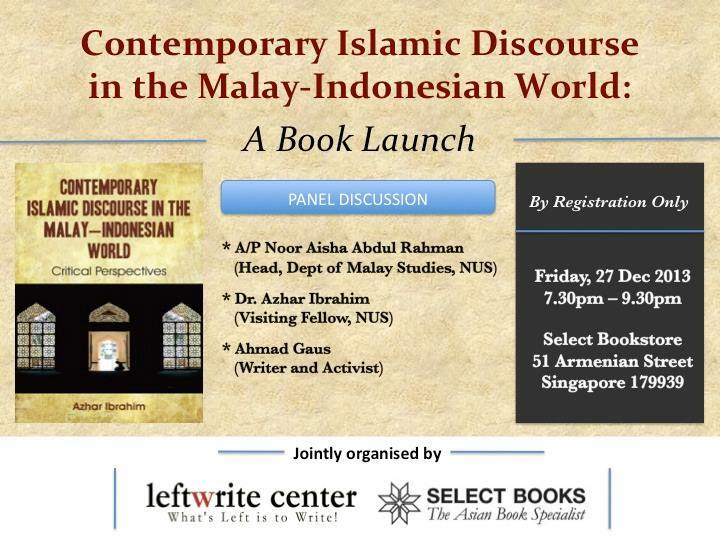 I know Dr. Azhar Ibrahim since 7 years ago in a discussion in Jakarta between The Reading Group Singapore and Indonesian activist. 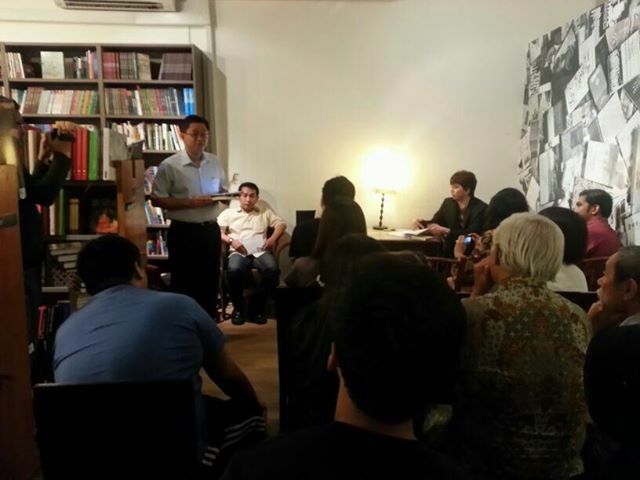 On that time, Singaporean friends brought their ideas about progressive Islamic, which is Islam that reveals the intellectuality, pluralistic, and future oriented not just from past as is became conservative or salafi characteristics. On the same time, the politics and religious in Indonesia was busy with the inter-group conflict between the radical and progressive. The radical group wants to impose the Islamic symbols to public, including creates the standard of living of the people and nation based on the Islamic Shari’a. The progressive group seen it as a threat for Indonesia where in this nation has many religious views. The radical group did sweeping to the nightclubs which is considered as a sinner place. They also show the intolerant between other religions. In the last few years we’ve record that this radical group has been doing a physical attack to the Ahmadiyah, Syiah and others. Up to now hundreds of Ahmadiyah and Syiah followers are still in the refuge places because their villages were destroyed. Other than radical Islamic, Indonesia is also facing the terrorism issues. If the radical Islamic movement and its organization are easily seen because it is live in the society, but it is very difficult to trace terrorism, let alone by the activists like us, even the state intelligence is often missed. They are only seen after the bomb exploded. And their movement is a cross-country (tran-national). 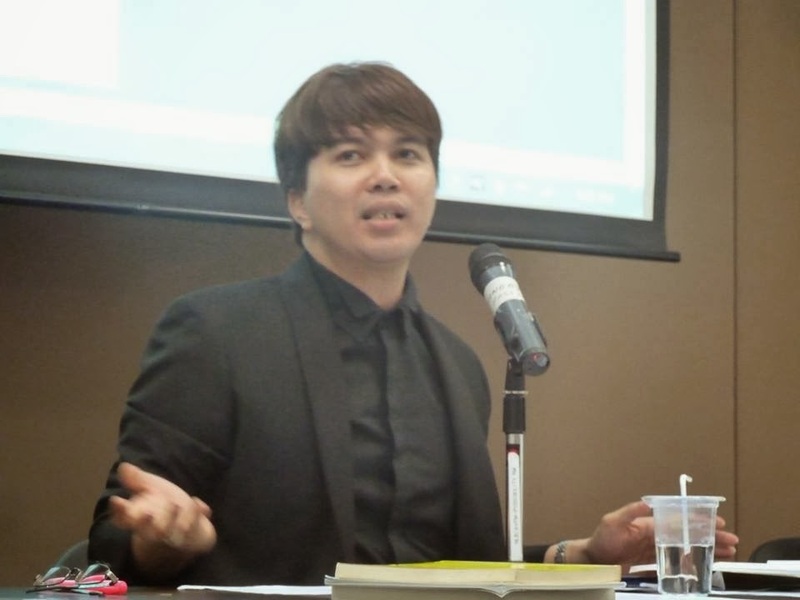 We, Indonesian activist, are often exchange our ideas and experiences with the activists of The Reading Group Singapore, including Dr Azhar Ibrahim. Our concern is how to build a network that enables the progressive Islamic movement into a mutual movement. We try to make the voice of the progressive group be heard out loud, louder than the conservatives and radical. Our goal is to show the face of Islam is tolerant, friendly, and open. Islam is neither angry nor hard. Due to the religious violence has becoming a global problem, therefore one of the ways to deal with it is by building the broadest possible network. What has been done by our friends from the Reading Group is developing the nodes of a progressive Islamic power among the civil society. They have built that network in Singapore, Indonesia, Malaysia, Thailand, and Philippine. Dr. Azhar Ibrahim’s book is a review of those activities. I belief that this book will provide a valuable contribution to build the strength of moderate Islamic in the countries that I have mentioned before.